Thank you for submitting your item for appraisal. This appears to be a baby grand piano by J & C Fischer Piano Company, manufactured approximately 1907 (?) and sold by Clark Music, a retailer that started business in Syracuse in 1859 and closed its doors in 2012. 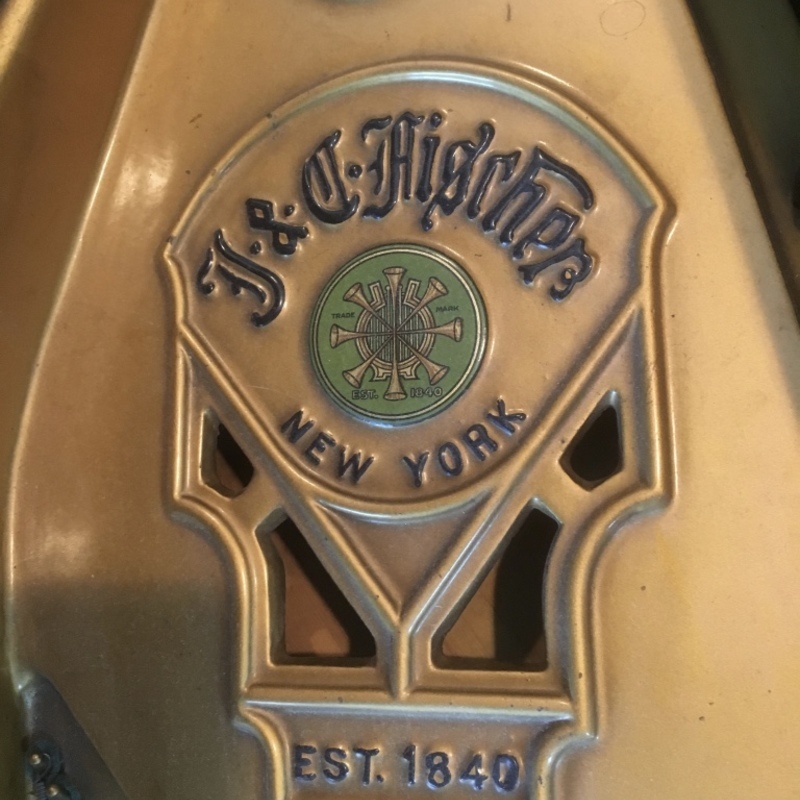 J&C Fischer Piano company was one of leading manufacturers around 1900 and built high quality pianos. The "florentine style" Piano in your possession apparently was quite popular. Another near identical piece of the 1920s is currently offered at a retail price of 35000 USD when fully restored. The estimate is based on current auction results for similar pianos. The price difference between auction results and possible retail price can be explained by shipping costs, storage costs, expert restoring costs etc. These estimates are being sought after for insurance purposes. Should the objects be insured at a value higher than auction prices? Insurance value for an unrestored piano should be double high estimate. The insurance appraisal for this item is $3,000.